Balance is a key to life. 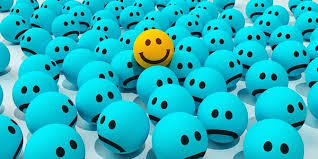 Living with too much passion, can lend itself to alienation from others. The squeaky wheel gets the grease, so staying quiet can allow others to get the limited resources to finish a project. It is with a healthy dose of caution that I express my love for living with an acute eye on details. Attention to the details in your life without a little bit of "don't sweat the small stuff" woven in, can lead to a dysfunctional (read, OCD) life. 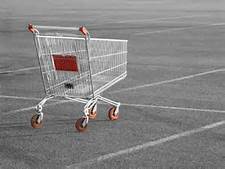 After watching several abandoned shopping carts ghost ride across a parking lot one day, I made the conscious decision that one 'detail' I wanted to incorporate into my life was always returning the cart to a corral or store. At first, bringing carts back was because I didn't want to be lazy. Then I thought about it as the 'right thing to do'. I have since used it as a test of my commitment to the habit (some days its inconvenient or it's raining or I'm late). And now, for what ever my driving force, I pay attention to the small detail, that most people will never think twice about, because I believe how I act and what I do, says something about me as a person. Paying attention to details started for me as a child. I remember my mom asking me to re-write my school papers over and over and over again. Always finding some small phrase or sentence structure that could be improved. She would say, "do you want to get an 'A' on this paper?". And, after hours of re-writing version after version, I remember saying, "I'll take the 'B', I'm tired of re-writing this!". My dad also tacitly hard-wired an eye for detail. Watching him clean his house to make sure the vacuum marks were always in the carpet, the kitchen was spotless, and the yard meticulously groomed, demonstrated a level of attention to the smallest detail. If I wanted to earn a few extra dollars, I would offer to wash his car. Only to soon remember that this was an hour or two (sometimes longer) commitment with significant oversight. Wheel wells had to be spotless, air vents needed cleaning, and trunk had to be cleaned completely. All of this 'modeling' is not necessarily a bad thing, as I have grown up to quickly and easily recognize when details have been missed. Golden wood and platinum glass. Have you ever wondered what makes a Ritz Carlton a luxury hotel and a Motel 6 a economy property? Why can the Ritz get $600+ dollars a night, and Motel 6 can only charge $99? It must be the golden wood and the platinum glass they use at the Ritz. Right? Obviously the difference does not reside in the material used to build the facility, wood is wood and glass is glass. It isn't in the height of the walls, the skill of the laborer who constructed the property, or the quality of the dirt that the hotels sit on. Most everything about the two hotels is the same from a resources perspective. What separates them, are the details by which they deliver a nights stay. It's the little things like the choice of amenities in the room. The attitude of the staff. The quality of the bed covers and the mattress. Its the attention to the details like the cleanliness of the windows, the smell and cleanliness of the carpets in the rooms and hallways. It's the choice of colors for the rooms and common areas, the shine on the brass hand rails in the elevator, the perfect paint job on the walls of the back stairwell, and the arrangement of the couches and tables in the lobby bar area. It's the collection of all the little details that make the Ritz a Ritz. I like to think of myself as non-judgmental, but to a certain degree I believe we all form opinions based on the patterns of information we see around us. I am cautious to not miss-judge or make blanket opinions about groups of things (hotels, cars, people, etc.) because there are always exceptions to these patterns. With that said, I do believe that people make choices for a reason. I travel often for work. And sometimes I find myself sitting in airports and watching people as they pass. I think to myself, "what is this person saying about themselves by what they chose to wear today?". Think about this for a moment. Why did you choose to buy the jeans that are in your closet? The shoes, the shirts, the jacket, etc. Each of those decisions was made among several alternative choices. So, in turn, you picked what is in your closet (minus what was given to you as a gift) with some amount of time and thought. I assume you decided on what to buy, and eventually wear, because you liked it. Obviously we don't buy things we don't like or we think we look bad in, so it's safe to say you are wearing things that you want the world to identify you with. If you wear expensive stiletto heels, or ripped jeans, or a t-shirt with a phrase on it, or flip flops, or a cowboy hat, you are making a statement to the world about who you are. Again, there are exceptions, but I don't think someone would go to the effort of wearing shirts that advertise a certain political party or product or famous quote without having some alliance to that choice. We give our signature of approval to the choices we make. Pay attention to your details. Simple things like how you dress or your personal hygiene and appearance are all making a statement about you for others to interpret. And despite the fact that we all need to be cautious and avoid passing sweeping 'judgments', it is a principle function of the world we live in. I've seen many opportunities or promotions withheld from people who may have been good because of initial impressions taken from first appearances.